This small-format book answers two key questions: What is depression and what causes it? If I have depression, what can I do about it? 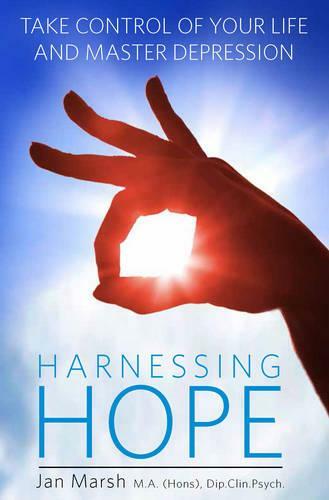 Offering real hope to those suffering from depression, Harnessing Hope explains depression in approachable language and shows how simple lifestyle changes can make a difference. Five case studies are tracked throughout the book, enabling the reader to see how each individual uses these tools to master depression and harness hope in their own lives. Jan takes a holistic approach, addressing mind, body and spirit through tips on physical wellbeing, insights into the habits and beliefs that shape our moods, and ways to keep sight of the bigger picture through mindfulness practices. She also explains how these strategies can be used alongside other treatments to provide an empowering process that is tailored to each individual. Practical and to the point, this is the essential guide for both those experiencing depression as well as those who care about them.